If you've been keeping up to date with HEXUS coverage in recent months, you'll have heard rumours regarding AMD's plans to launch a higher-clocked successor to the well-received Phenom II X4 955 Black Edition. 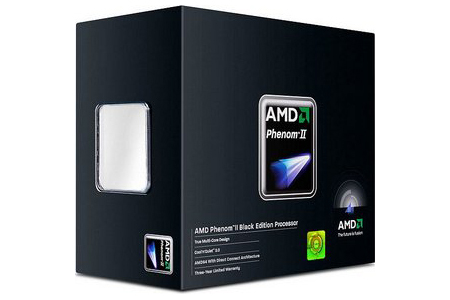 Those rumours were on the mark and AMD's new processor is launching today in the form of the Phenom II X4 965 Black Edition. It's another poorly kept secret, with retailers listing the part back in early July, but it's also AMD's fastest-clocked desktop processor to date. Coming in at 3.4GHz, it's a 45nm Phenom II part served in an AM3 form factor. Common sense will tell you that it's quicker than the 3.2GHz Phenom II X4 955 Black Edition launched at the tail end of April, but to find out exactly how well it compares, read on for our eight-way performance analysis.